We want to hear from you. 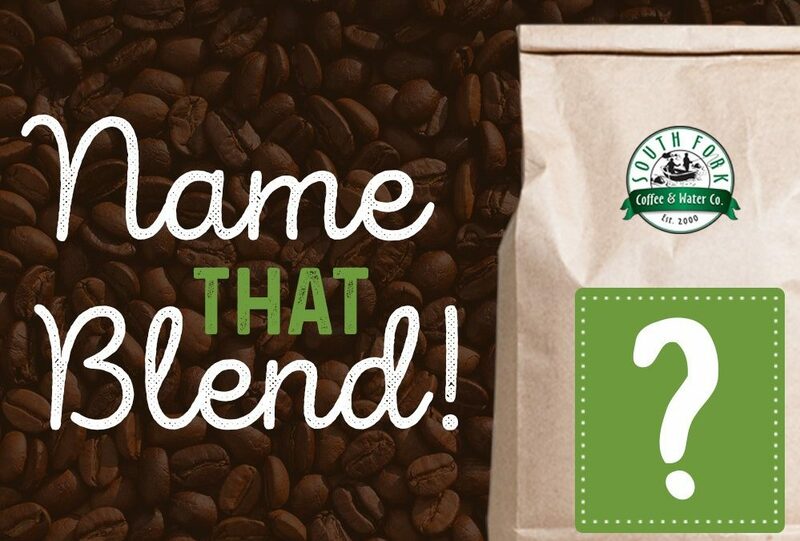 Help us name our new coffee blend to win free South Fork coffee! “Like” South Fork Coffee & Water on Facebook. Submit your best coffee blend name idea in the box below. The new coffee blend combines the finest coffee beans from Indonesia, Guatemala, and Peru. Together, they are slowly roasted to bring out their maximum flavor and create the perfect cup of coffee. If we pick your name, you will win free South Fork coffee! Submit your name today and make sure to “Like” us on Facebook and “Follow” us on Instagram for contest updates! This contest has ended. We will announce a winner soon. Stay tuned!